Worth the Years of Hype? 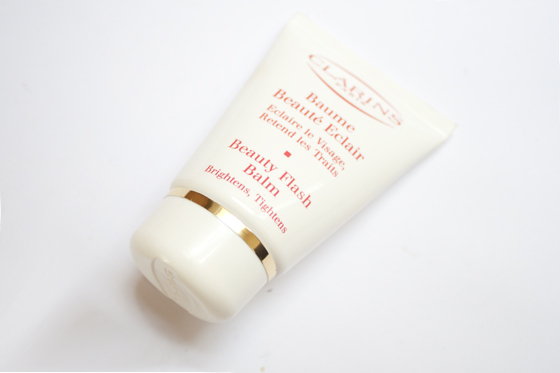 I've been wanting to try the Clarins Beauty Flash Balm out for ages, I find Clarins a bit overwhelming and I never know where to start when I approach their counters! Even though I've really want to try this product I never seem to remember about it when I get close. I was given this in my goody bag the John Lewis Beauty Hall Launch and forgot about it. Thanks to a re-jig of my stash I rediscovered it and tried it out asap! Described by Clarins as the "Ultimate Pick Me Up" it's been a best selling radiance booster for years. I apply Beauty Flash Balm before I put my makeup on as a primer. You can use it as a moisturiser or as a mask for a intense weekly treatment. Using it as a Primer my skin feels tighter and brighter instantly after application. It's been perfect for perking up my dull, sallow natural skin tone and really gives my skin a good boost! I feel it gives me a glow without looking shiny or dewey, which is hard to explain on paper but it looks really lovely! I dont know what I really expected when I tried it originally, but I couldnt believe how different my skin looked after applying it. As a makeup base it leaves the skin very satin like finish, which I also really like. I don't find it keeps my oily skin completely at bay but it does keep my makeup in place fairly well. Overall this is totally worth all the hype around it, I think the one I have is a mini but I think it will last a fairly long time! Very excited to have this as a new addition to my Makeup bag!